In 1979, businessman George Soros created a philanthropic organization with the goal of opening closed societies. 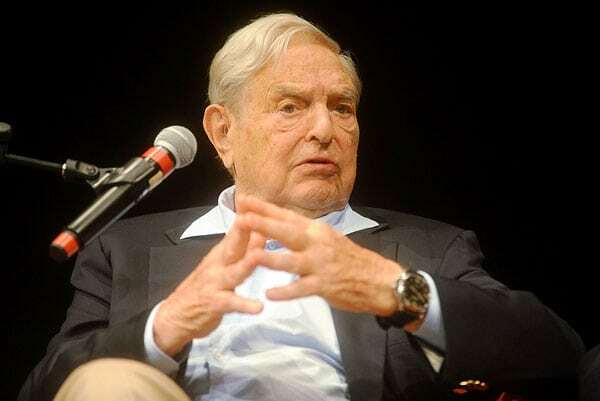 This spring, a branch of his nonprofit organization was essentially sent packing from Hungary, where Soros was born, by a “Stop Soros” package of laws aimed at foreign-funded NGOs that was backed by authoritarian leader (and past Soros scholarship recipient) Viktor Orbán. Society may feel more open than ever before, but a new profile by Michael Steinberger in the New York Times exposes Soros’s worries about his legacy—­and democracy—slipping away. The billionaire member of the philanthropic plutocracy, who is often a scapegoat of right-wing conservatives in America thanks to his support of progressive movements, feels that he’s losing his lifelong battle for liberal democracy here and abroad. Soros has given more than $18 billion to his Open Society Foundations, an international network of organizations in 42 countries. Soros was ranked by Forbes as the 20th-richest American last year. Soros was in a reflective mood. He said democracy was in trouble because in many countries it had become sclerotic, insufficiently responsive to the public’s needs.… It had become clear to him that his mentor and inspiration, Karl Popper, had been wrong in one critical respect. In a democratic society, politics wasn’t ultimately a quest to arrive at the truth; it was about gaining and holding power and manipulating public sentiment in order to do that. Further, Steinberger reflects Soros’s argument that civil society—nonprofits and social movements—are under pressure like never before. The new-age autocrats had shown themselves to be particularly cunning in going after civil society as a means of consolidating their power. “It’s a less abrasive way of exercising control than actually killing people who disagree with you,” he said. As the global community shifts into a new (political) world order, Steinberger also re-examines the narrative behind Soros’ rise. Given that Orbán ran and won on a xenophobic platform, it seems fair to wonder if Soros’s work in Hungary—and in much of Eastern Europe—was doomed from the start. With Putinism and Orbanism on the rise and the 30th anniversary of the fall of the Berlin Wall approaching, there is renewed debate about the import of the events of 1989 and whether Russians, Poles and Hungarians really intended to embrace the full menu of Western liberal values. Steinberger rightly points to the contradictions of today’s big philanthropy. The industry that made him a billionaire contributed significantly to the circumstances that now imperil what Soros the philanthropist has tried to achieve. But it is also a clarifying battle. Setting aside all of the complications that come with being George Soros, would you rather live in the world that he has tried to create, or in the world that Salvini and Orbán (and, for that matter, Trump) seem to be pushing us toward? In the aftermath of the Great Recession, it can certainly be argued that how Soros earned his money, and the fact that he accumulated such wealth, ought to carry more moral opprobrium in 2018 than maybe it did in 2008. But there is also a case to be made that in the present moment, with its echoes of the 1930s, how he amassed his fortune matters a lot less than what he has chosen to do with it. Soros’s pessimistic outlook is understandable. But despite, or perhaps because of, the political upheaval in the US, civil society is rising. Already, there is a new generation ready to take the torch and create light in dark places. It may take time, and civil society make look different, but there is still reason to believe in the future of our sector, particularly if you look past governments to individuals. If the democratic century is over, perhaps we need a new definition of liberal democracy and its relationship to civil society. Here in America, we have seen many ripples of change even before President Trump came to power, including the Black Lives Matter and Parkland survivors’ movements. A recent example: After RAICES raised more than $20 million to reunite detained immigrant families, the Texas nonprofit’s diverse staff didn’t stop at fundraising. RAICES leaders went to Washington to pay off detention bonds in bulk and then rejected a $250,000 donation from Salesforce via Twitter when the company wouldn’t cancel its contract with Customs and Border Protection. Both efforts gained significant media coverage and traction for their cause. “We will not be a beneficiary of your effort to buy your way out of ethical responsibility,” Executive Director Jonathan Ryan wrote of the decision to turn down Salesforce. Our sector likes to believe we can control outcomes. We still live in a world of projects and logic models. But maybe we need less control and more enabling. In a changing world where we expect others to grow and evolve, that seems like an area where we need to do some evolving—by becoming more willing to fund those who do outreach, push for change, bravely speak truth to power, and engage people we never will.